Holy moley y’all. This summer is speeding by like many a strider on the Schuylkill loop. 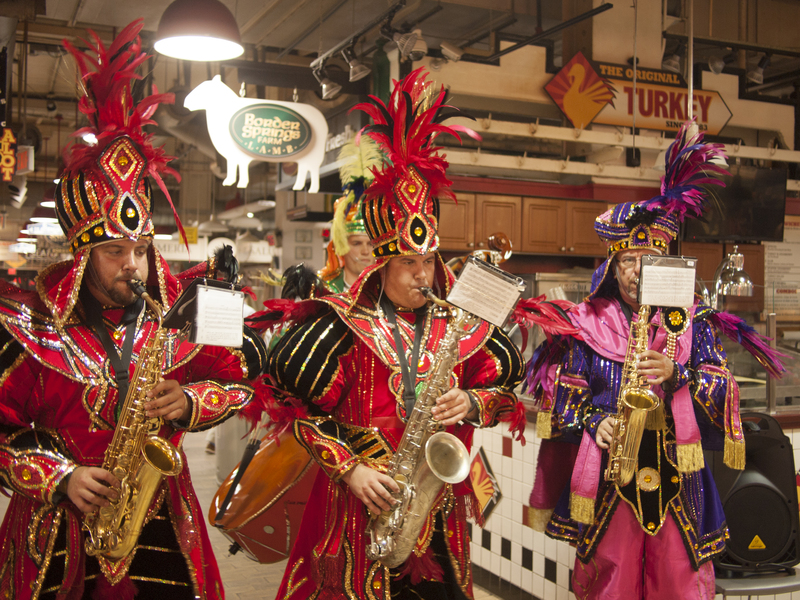 A Mummers string band at the Reading Terminal Market, 19 July 2014. 28 Jul	This entry was published on July 28, 2014 at 7:10 am. It’s filed under Center City and tagged mummers, Reading Terminal Market. Bookmark the permalink. Follow any comments here with the RSS feed for this post.